Erin has been writing about Germany for more than 10 years and has covered the country for TripSavvy since 2014. She is a senior Blogger for the German-Way and the Content Manager and Guide Writer on established expat site, EasyExpat. Erin moved to Berlin in 2007 and still calls the city home today. Erin "ebe" Porter has been writing about Germany since she moved to Berlin in 2007. Now the mother of an echter Berliner (real Berliner), she continues to struggle with the German language and travel to every corner of the Vaterland. She represented Americans moving to Berlin with an appearance on the popular U.S. reality TV show, House Hunters International. 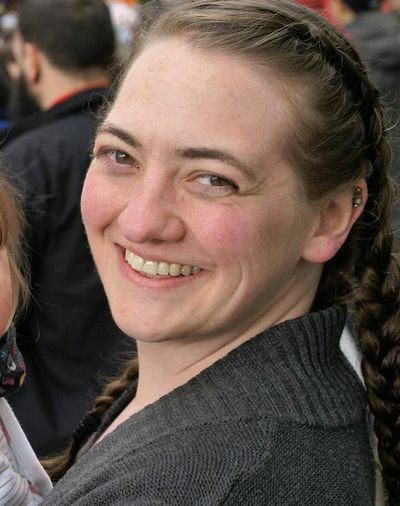 Erin is a graduate of Western Washington University with a degree in Political Science and a minor in Sociology. Extensive body of work on The German Way, including How-To Guides on Grocery Shopping, Banking, and Having a Baby in Germany. Contributor since 2014. Comprehensive Guide on Moving to Berlin on EasyExpat, among other expat guides. Contributing editor since 2008, content manager since 2010.